Tell us Miyako!. Miyako tell everyone the story of her and Taka-san. lolz, look at Ken's face!. HD Wallpaper and background images in the Miyako Gotokuji club tagged: miyako gotokuji ppgz rolling bubbles. This Miyako Gotokuji Screencap contains मोबाइल फोनों के लिए, हास्य पुस्तक, मंगा, कार्टून, एनीमे, कॉमिक बुक, and manga. soooo wat episode is that? 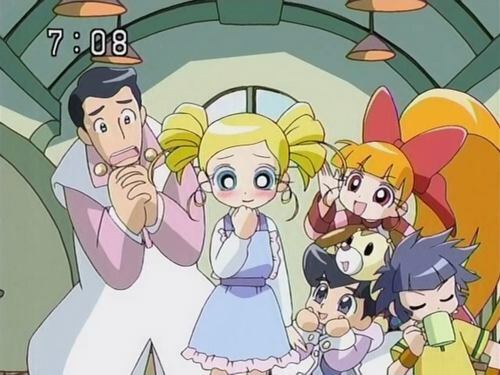 What ever episode Miyako first tells them about Taka-chan. I think it might've been episode 12, but I'm not sure. Actually it is from episode 12.